With all the supplements on the market how do you choose which ones are the best to take? And how important are supplements? These are the questions I get all the time from my clients. The first thing I tell people is food is numero uno!! Eating a balanced diet will provide you with many nutrients and will do more for you then all the supplements in the world. You can’t out train a bad diet and you surely can’t replace food with supplements, that’s why they are called supplements. Now that I have that out of the way which supplements are important and how important are they? Let’s start with which supplements. These are the basic supplements that I take no matter what. 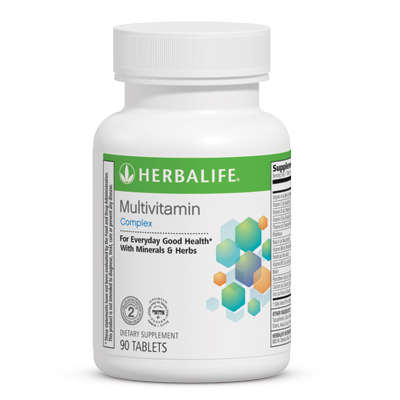 1) Multivitamin- Take daily to help get the nutrients I may be lacking with food. 2) Fish Oil – 5 grams daily Too many health benefits to list. Bottom line we need to supplement Omega 3’s. 3) L-Glutamine – 10 grams daily after workouts. Speeds recovery and you will likely be less sore. 4)Calcium/vit D supplement – With the lack of dairy in my diet I like to make sure I am getting enough. 5) ZMA – Essential dietary minerals Zinc, Magnesium, and Vitamin B6. Great for healthy hormone production. 6) Creatine – 5 grams daily. Enhances performance. 7)Protein Powder – Real food is always better, but there will be times when real food isn’t available or when a fast absorbing protein is needed, like after a workout. These are what I consider my essential supplements. I always use these and they are the core of my program. There are other supplements that I also take. BCAA’s, I make sure to take these during intense dieting before and after all workouts or cardio sessions. I also like green tea, fat burners, Nitroxide products, and the list go’s on. Now how important are these?? Well the better you eat the less important many of these are for you. Even if you eat perfect it may be hard to get all the nutrients you need with food. Every single supplement listed can be achieved through food, but the quantities needed may not be reached. I have them listed in the order of importance for me. You must look at your goals and what you’re trying to achieve. If you want to be an elite athlete then proper eating and making sure you get these supplements is of the upmost importance. I treat these supplements the same as food and they are on the grocery budget. Now if you are just trying to live a healthy lifestyle and being an elite athlete is not something you are inspiring to be then you could remove creatine, glutamine, and protein powder from the list. Bottom line there is a new supplement that hits the market every month and if you’re not eating right and training hard no supplement is going to give you the results you want. 90% of reaching your goal is going to be proper nutrition. Be careful of claims that some supplements have. If it sounds to good to be true then it probably is. Make sure you’re buying quality supplements from a reputable company. If your trying to live a healthy lifestyle then these supplements are going to help you protect and maintain your health.Eat well and train smart!